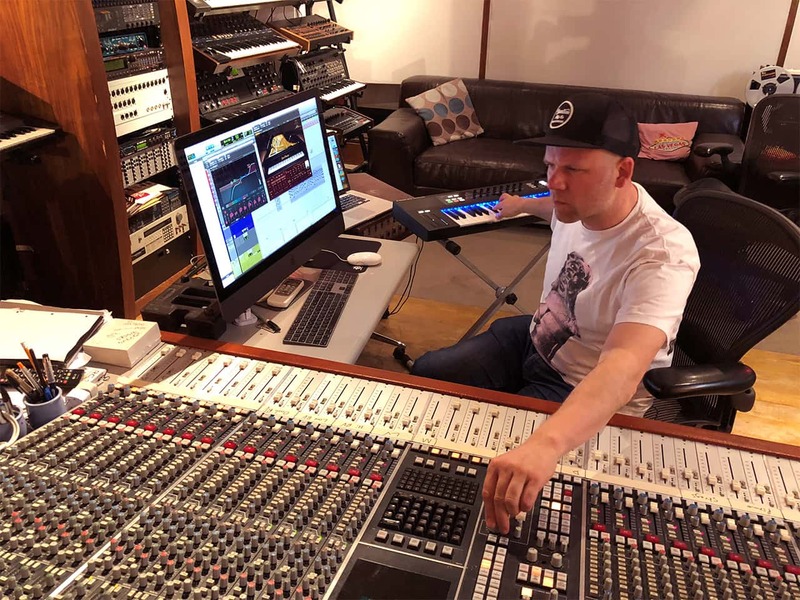 Studio Renaissance-man Mark Ralph (Clean Bandit, Jax Jones, Years & Years) has graced some of the biggest synth/electro bangers of recent years with his eclectic layering of dance and classical sounds. We peeled back the layers and got to the core of his symphony of hits. 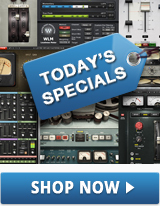 Can anyone call themselves solely a producer, songwriter, or mix engineer anymore? Don’t we all wear different hats in the studio? From mixing and composing to recording and performing, knowing only one of these skills is rarely enough nowadays. We’ve asked producer, mixer, songwriter and guitarist/multi-instrumentalist Mark Ralph to share his insights on being a musical polymath and combining all these aspects of studio work – as well as his unique approach to layering diverse sounds in new, surprising ways in order to create a greater whole. Mark, you’ve co-written and co-produced Years & Years’ Communion; co-produced and mixed Clean Bandit’s “Rockabye” – all UK #1 hits. Do you think the lines have blurred between songwriter, producer and engineer these days? Yes, the lines have been blurred, because today people use the same medium – the computer, the DAW – to perform all three tasks. It's often very difficult to say where songwriting finishes and production begins; and the same is true at the other end, between production and mixing. So that’s probably the reason a lot of people like myself have honed our skills in all three areas. When composing on guitar or piano, how much of the final sound do you have in mind? A good song needs to work completely stripped back, as well as work within a much more complex production. When you strip a song down to an instrument that plays chords or even just a counter-melody and a vocal on top, you’ve got nothing to hide behind. My songwriting process naturally happens with a guitar. I’m a guitarist by trade; that’s how I started. But I can also play a bit of piano, and often I work with Jack [Patterson] of Clean Bandit, who is a very good pianist. When we’re trying to work things out, we sometimes play these songs on the piano and work for a while like that. Not every song I write starts the same way, but it’s always interesting to switch over [to just guitar or piano] and see if you’ve still got a great song. I’ve also got the luxury of having people come to me, day after day, who've already got their own ideas, and the germination has already taken place. My job then is to listen and find a way of putting them together with all the sounds that are going to help the record turn people's heads. Your production style has a signature blend of synth and classical instruments. How do you take these classical instruments back to the future in the mix? It’s interesting because I think historically, music is often influenced by what was made 15 to 20 years previously. The young generation who are making music now were listening to that as kids via their parents. That musicality and that style gets embedded in you as you grow up. Clean Bandit is a good example of that. Jack and Luke [Patterson], Grace [Chatto] and I all have a real appreciation of classical music. They all studied it, as I did too with classical guitar. But we’d also listen to a lot of contemporary dance music and all sorts of other influences such as Moombahton and Reggaetón. During the making of Clean Bandit’s “Symphony,” one of the records we referenced was Behind the Mask by Eric Clapton. Check it out, it’s not one of his bluesy records, more an 80s synth moment from him. And it was just one of many records we put on and went, “Hey, that sounds amazing, let’s take some inspiration from something on that record.” And it wasn't something that is overt within the track, but it definitely was one of the things that just led us to where we got to. In terms of the ingredients, I think the important word really is contrast. Let's say at a particular point in the song, you've got very sort of synthesized kind of landscape; just adding a violin and cello playing something very traditional is a really interesting kind of juxtaposition. It isn’t natural to have synthesizers playing with a string quartet, but on a record, it makes for a very interesting sonic. How do you create such huge-sounding tracks with minimal elements? What’s the secret to the controlled simplicity in the symphony? I do tend to try and minimize the productions so that there are never more than a handful of things playing together at any one time. But I also try to create a unifying sound between instruments that is made from a combination of three or four different layers, all playing the exact same thing. The more space each individual sound has, the bigger and more important you can make each one. For pianos, I'm not wedded to that purist, “Everything has to be the real thing” attitude. I use plugin instruments with the natural instruments as well. Sometimes I'll mic up and record a piano, but then I'll also play exactly the same thing on the Grand Rhapsody Piano plugin and then mix the two together so that you wouldn't be able to tell. I kind of do a bit of that because using the plugin version can get you something you wouldn’t get necessarily from miking up a piano in the room. So for every given moment in the track, I’m looking to create contrast, so that everything doesn’t just blur into one thing. I do that with reverb for example. I use reverbs on chosen instruments, but at the same time I’ll put in something that's completely out of that sound space, for example totally dry. That creates the impression of a rich musical production, because you’ve got the contrast between two things that don’t sound together in the same natural space. You have quite a collection of historic musical treasures, rare vintage consoles and classic analog synths at Club Ralph Studios. Are you the Indiana Jones of gear…? [Laughs] Over the years, I managed to collect all sorts of different instruments. I have all these keyboards because they help me to produce, and I'm also fascinated by old synthesizers. I have a mixing console designed and built by the legendary Conny Plank [producer/engineer for 70s German legends Kraftwerk, Neu! and many more]. He made lots of custom effects pedals and drum machines and he started building the desk I now own in 1974, during the making of Kraftwerk’s Autobahn. He also made another console, the companion desk to mine, for the band Can, which is now in a museum in Germany. When I moved my studio a few years ago, I couldn’t fit the Conny desk in as well as my SSL, so I lent it to a good friend of mine and co-owner of the desk, Dave Allen (The Cure, Human League) and I now primarily use Tony Visconti’s old SSL 4048E desk in my studio. The SSL E-series consoles are great. Weirdly enough, though, the fascinating thing about the SSLs is each console has its own individual sound. 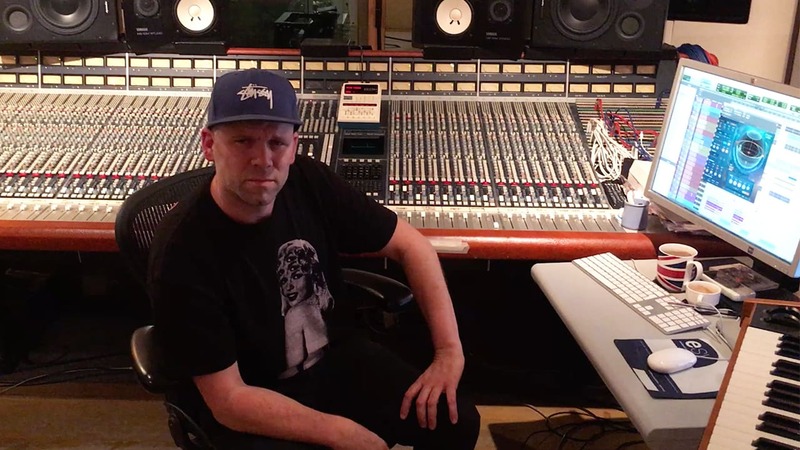 When I was working on Years & Years’ Communion album, I worked out of Interscope’s studios in LA, finishing up some mixes on an E-series desk previously owned by Dr. Dre; it didn’t sound anything like the E-series I use back at home. When I had the Conny Plank desk, I used to incorporate loads of SSL XLogic X-Rack modules into my workflow, but as soon as I got the Waves SSL plugins I started using them, in many ways more often than the rack system. The emulations have a certain character to them that’s very useful to me. It’s nice to have the extension of what I'm using for hardware and routing the software forms into my workflow as well. You’ve produced some of the biggest bangers to hit clubs and dancefloors around the world. How do you typically treat the low end in the mix? On the kick drum, one thing I learned a long time ago from working in the studio with Sly [Dunbar] and Robbie [Shakespeare] was the idea of stacking drums up. When Sly made a kick drum, he wouldn't just select one sound, he would first find a kick with predominantly sub-harmonic frequencies – that is, nothing above 80 Hz. Then he’d find another one that had nothing below 80 Hz but only kind of dealing with the punchy 120-140 Hz range. And then he would have a mid-range one that had nothing maybe up to about 300 or 400 Hz. Then he would just add a little click on the top end. Put all those together and it would cover the entire spectrum. They weren't getting on top of each other frequency-wise, but you had the different sounds making up one big sound. For basslines, I often use a similar layering technique. I use a sub bass, but at the same time I’ll play the exact same bassline in the same octave range, but with a more low-mid character sound layered on top; and then sometimes another layer that's on top of that. One thing I find immensely useful – and I don't know any other plugin that gives you this type of control – is Renaissance Bass. I always get to a certain point where I'm feeling like I've got everything right, but I haven't got the right type of consistency in the bottom end of the bass instruments. I like a certain character that I want to be consistent on certain frequencies. I always come back to Renaissance Bass, just straight on, and it lets me dial in what's missing. With bass, there often tends to be some kind of annoying resonant frequency; especially on a live bass when someone hits a certain note – it just kind of like sticks out. The F6 Dynamic EQ is the perfect remedy for that because it just literally detects that resonance every time and then corrects it very smoothly and very musically. What advice would you give someone as far as making their mark on the music industry? It all comes from within at the end of the day, from the ideas that you have in your head. And it's less about what tools you’ve got at your disposal, more about knowing the ones that you do have really, really well. Knowing all the different sounds you have at hand is the key to being able to get to where you want to go efficiently and effortlessly. I sometimes think of this in terms of being a DJ – all of the best DJs have an encyclopedic knowledge of music, and they know exactly which record to put at the right time. Same thing in the studio: if you know your instruments and gear really well, then you’ll know exactly how to get the sound you’re imagining.